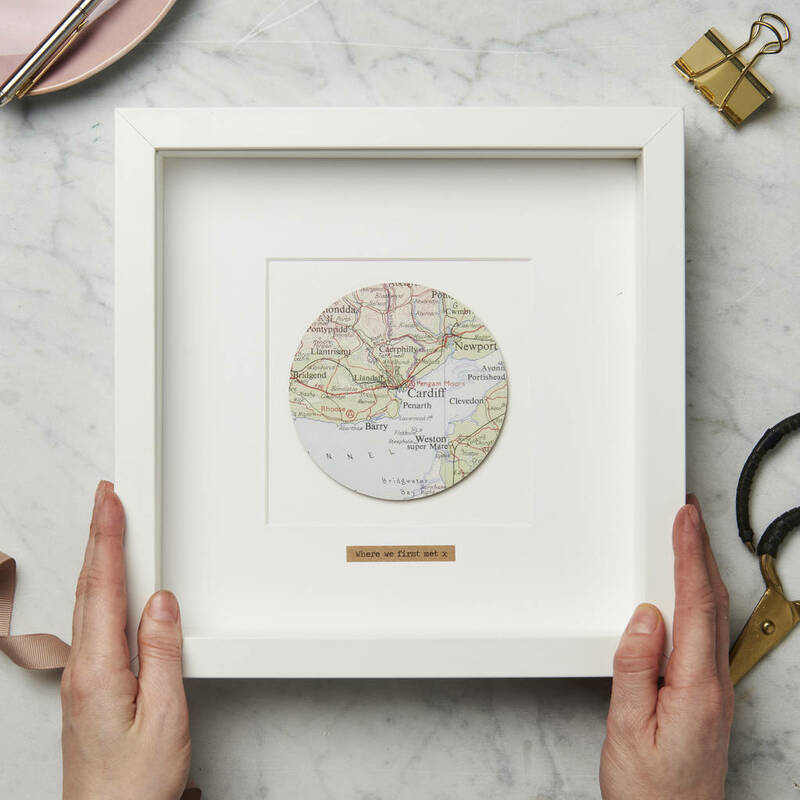 A beautiful Circle Map Picture personalised with a vintage map location of your choice and an optional typewritten message beneath. 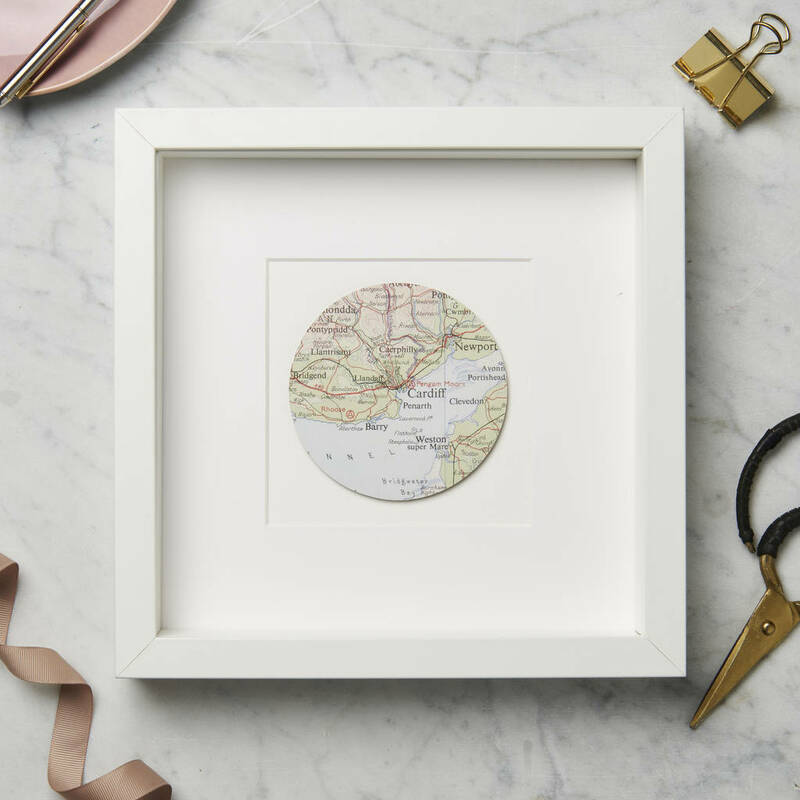 Think outside the box with these charming circle map pictures. A stylish and unique gift for weddings, birthdays or any special occasion. They are handmade using our collection of vintage maps (please see note below) to show your chosen location. 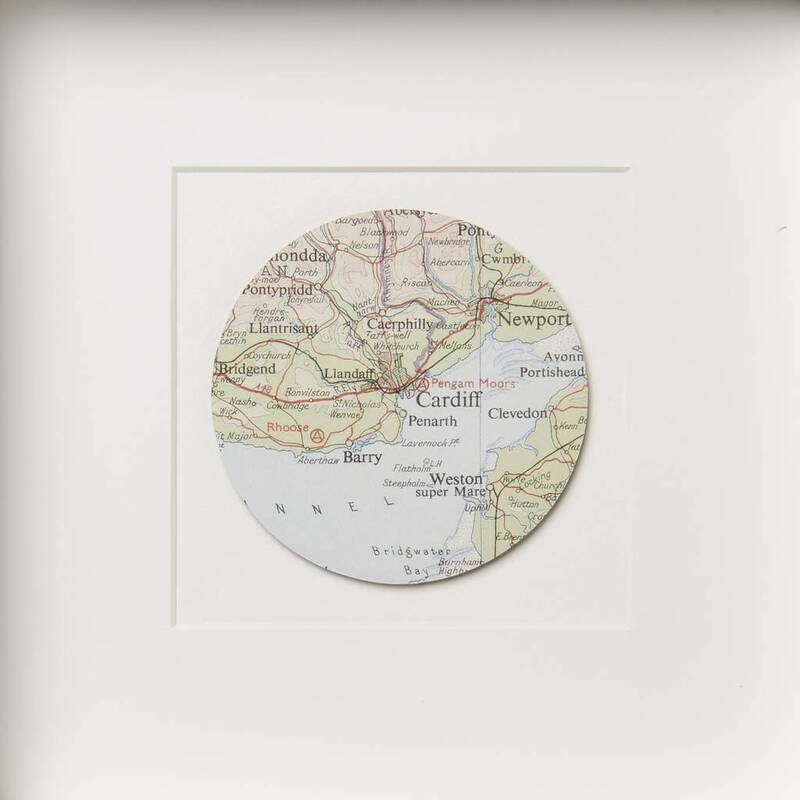 The picture is framed with a large map glazed onto a thin circle square making it stand out in a white box frame. The design gives you the option to add a personalised typewritten message.